With so many government projects and funds showered like hell every year to promote and upgrade the lifestyle of people living in the remote areas of India – we all feel that none is being neglected. How far true is it? In a country of about 1.324 billion people, it is not possible to keep a tab on the life of every one of us. Leaving all duties upon government is not something smart. We the ‘so-called citizens’ also need to share some responsibilities. This year at Innofied, we thought to help such people, have has not yet seen the light of hope. And to fulfill our wish we drove at least 350 kilometers interior of West Bengal and reached Bhalidungri in Purulia. The place called Bhalidungri is about 30 kilometers inside Arsha, Purulia is a typical Santhal village where nature rolls and laughs. The greenery of the village which was smiling back at us was actually dark from inside. With very little rays of education, lack of vocational training, superstitions strangling normal lives, and scarcity in jobs, makes this place difficult to support life. But one man who has evolved and made a new mark is Mr. Naren Hansda. He has done something incredible, which even the educated society and so-called intellectual might not have thought to do. At Innofied, we didn’t want to add credit to our bags. 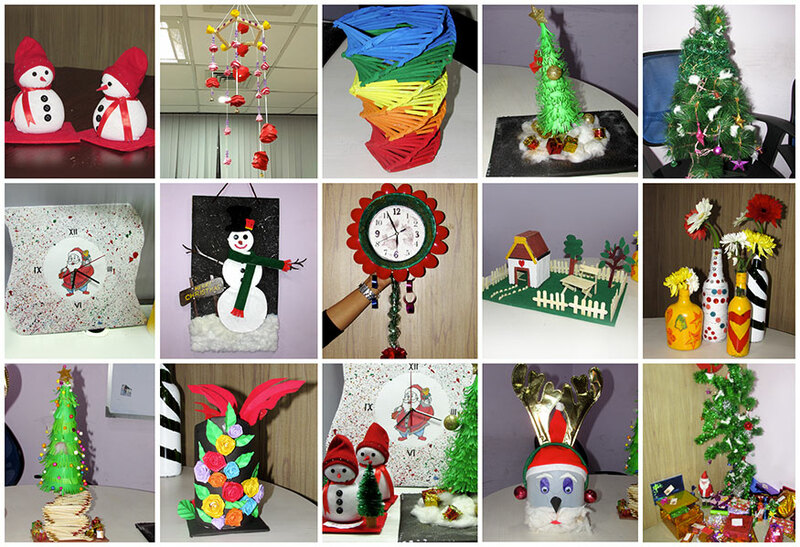 We just wanted to make a little contribution to a noble work just like every year. 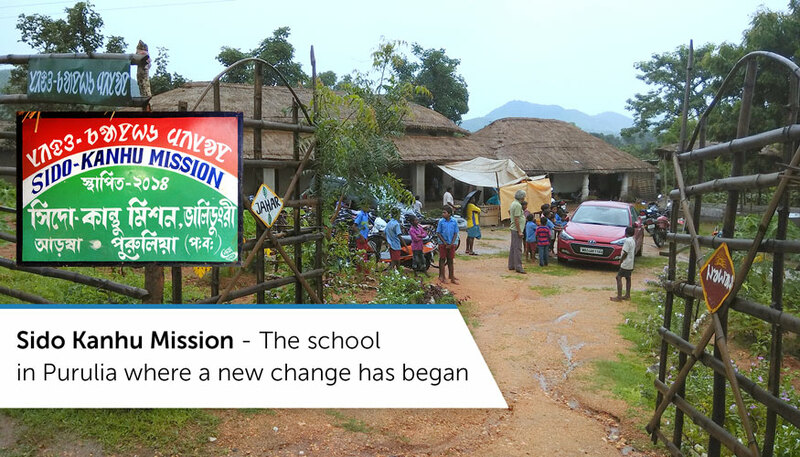 Hansda is running a vocational school in the interiors of Purulia, encircled by a deep forest and hills all around. A place which was forbidden for ages in the fear of ghosts was chosen by Mr. Hansda to make his dream come true. He is much similar to Dasarath Manjhi – The Mountain Man, who carved a path through a hillock to shorten the travel route from his remote village. Hansda carved a similar path through a hillock and has built his school on the hilltop. 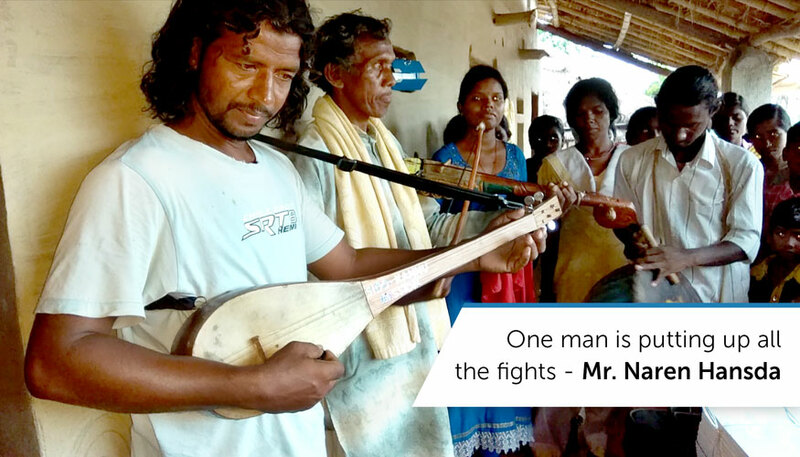 He sings Jhumur and whatever he earns doing events in Kolkata or nearby places in West Bengal, he adds it to the school fund. Sidho Kanho Mission is running an errand for 4 years. Apart from formal education, here vocational training in music and performing arts are also imparted. What the school mostly strive for is to remove superstitions such as child marriage, witchcraft, etc from the life of the Adivasis. Team Innofied received a grand Santhali reception on their entry. People greeted us in a conventional manner and did some Santhali rituals that made us felt coming to a different world. Utmost respect and gratitude were filled in the heart of the people around. We had a team of four which included our Co-Founder Sandip Saha, and teammates Pritam, Rahul, & Subhajit. After a warm reception, we felt overwhelmed. But looking at the kids, we knew that they have been waiting for a long time. We had arranged a lunch for all of them. A very minimal lunch, cooked by the villagers themselves. As raw foods and cooking materials are hard to arrange in this part of Purulia, where the market sits for a day. However, we arranged raw materials and tried to feed the kids at least for a day, which we know is not enough. 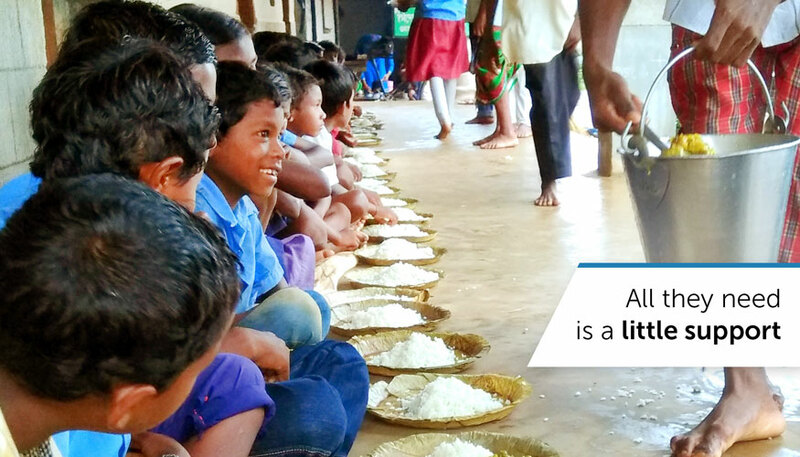 It is this food for which the kids pay a visit to the mid-day meal schools run by our Government. To help Mr. Hansda a little more, we gave away books, stationeries, globes, picture learning materials, footballs and jump ropes for the kids. We were lingering for a little smile on every kid’s face. But it was hard to find. We thought chocolate could do wonders, so we distributed chocolates before we left. But to our astonishment, the smiles were so thin and hardly visible. It was eminently glowing when they were having the food, but a mere chocolate seemed to be a fancy for a day. Since birth, they have started to put up a daily fight and it seems to roll. 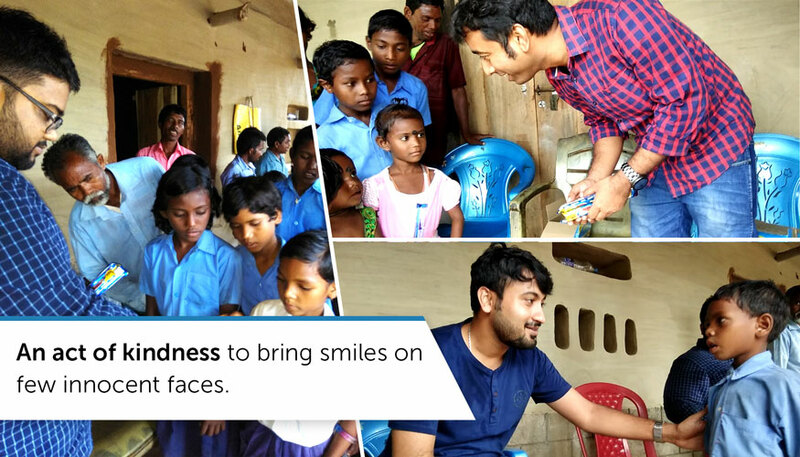 However, if many Naren Hansda’s come together and people like us extend our arms, then it is possible to broaden the smile on those little faces. 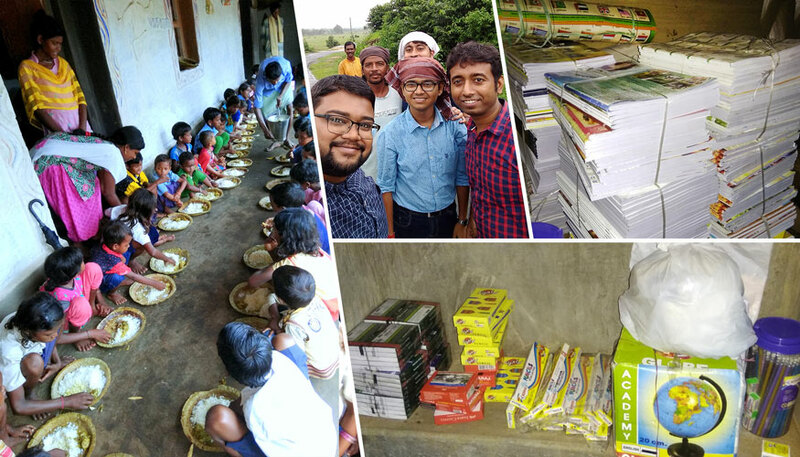 Innofied is extending help to the society since its inception, but visiting Sido Kanhu Mission changed our views towards life. This place gave us the belief, good people still exist on earth.